With over 25 years of experience Steve Partington has an incredible knowledge and expertise when it comes to professional upholstery and carpet cleaning, Minehead. Our cleaning services are available to both domestic and commercial clients in Minehead and the rest of Somerset. 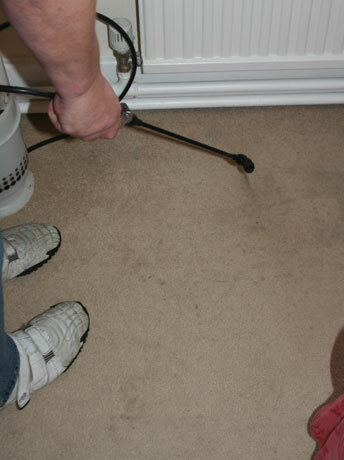 Most of our clients want to return their carpet or upholstery to a condition which looks brand new without the need to pay out for new carpets or furniture. To help our clients save money we will remove stains, odours and dirt at a competitive price so you know you are getting value for money. In recent years flooding has become a growing problem across Somerset, which is affecting numerous homeowners and businesses. To help bring your property back to what it used to be we offer our clients with flood damage renovation so to help you recover after the damage has occurred. If you have been renting a property then you will more likely than not have paid a deposit to the property owner. When you come to leave you'll want to get your deposit returned to you so it is essential that you leave the property in a fit condition for the next people to move in. One way which your property will need bringing up to standard will be the condition of the carpets and sometimes upholstery, depending on if the property was already furnished. 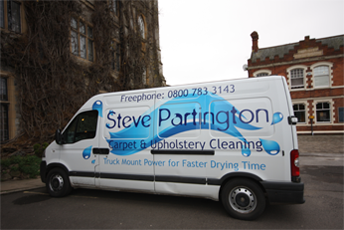 Steve Partington will help you by offering you expert upholstery and carpet cleaning, Minehead, so to help ensure you get back your full deposit. Our professional carpet cleaning, Minehead, will help to ensure your home looks the best it possibly can so why not contact us today? "Providing excellent services throughout Minehead and the surrounding areas." "We use professional cleaning equipment to provide the best possible services."